Learn to snowboard or improve your skills. Make your weekends more interesting. 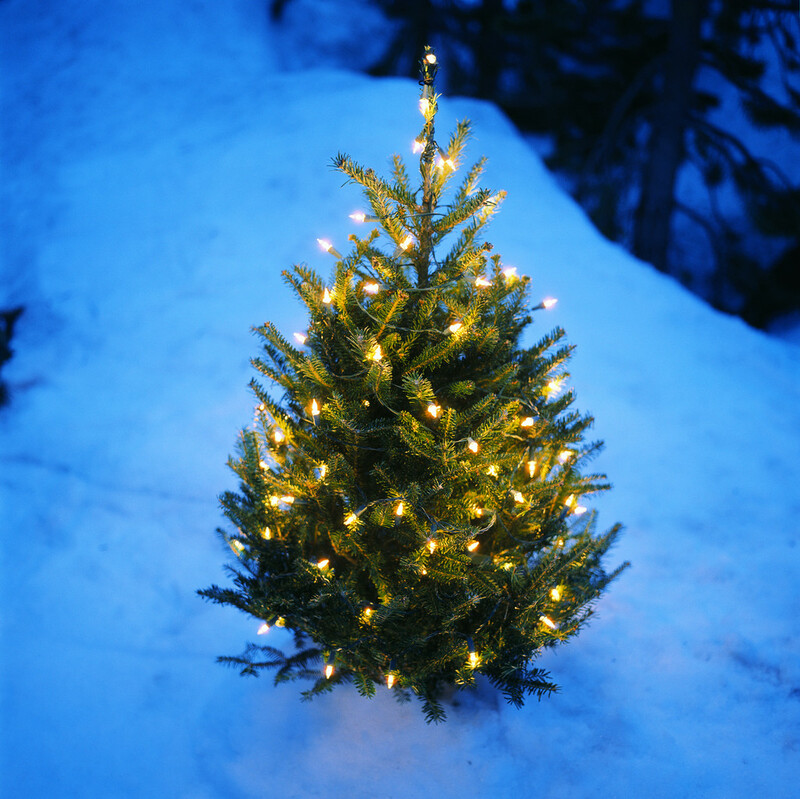 Book yourself a short break in the snow! If you just can’t wait for your next annual ski or snowboarding holiday, or you simply just fancy a quick snow-fix, why not think about grabbing a short break or weekend break with us here at the Rude Lodge? Whether it’s a three-day weekend, or grabbing a midweek ‘express’ ski or board break, we can offer some great value short break prices. Morzine is only an hour and fifteen minutes’ transfer time from Geneva airport, making it an ideal location for a quick getaway in the snow. 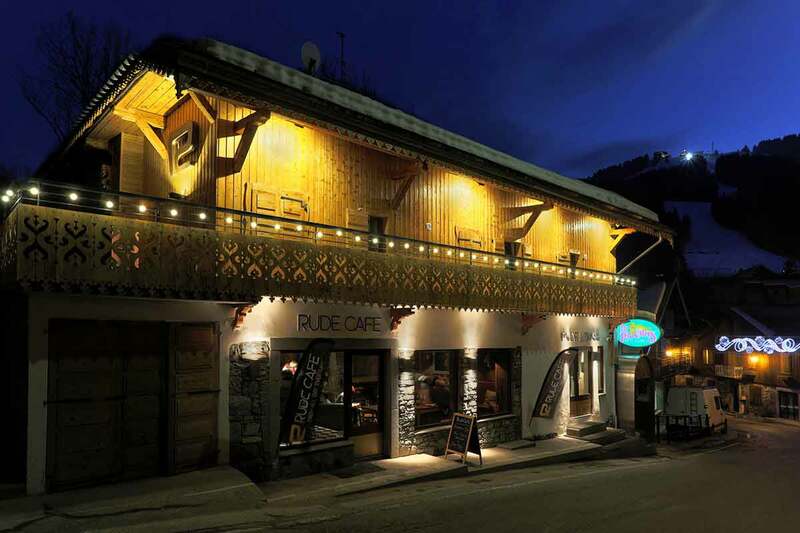 Our Rude Lodge is just a couple of minutes’ walk from the centre of Morzine and the Super Morzine lift is only 600 metres away. The Rude Lodge is a brilliant choice for a short break or long weekend. We have a range of great value accommodation options, comprising of twin rooms, triples and four bed dorms. You can arrive or depart at anytime of day, to ensure you get the most time possible on the mountain – however short your stay is. We have our popular Rude Cafe downstairs serving up breakfast, meals and snacks, and our sociable and inviting bar for aprés drinks. The Rude Lodge is the ideal base to clock up the hours on the snow, before you have to clock back in to work. Get in touch for more information and prices. Book yourself a midweek short break. or long weekend at the Rude Lodge. You’ll have some epic tales to tell at the water cooler on Monday! Short break offers in our chalets! 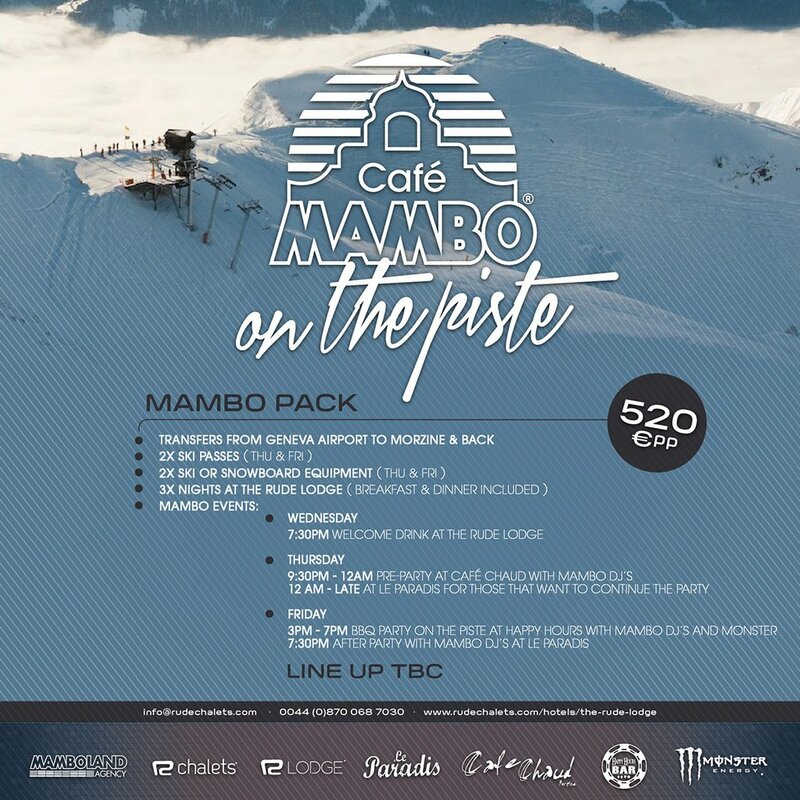 Mambo on the Piste Returns! Mambo are coming to Morzine, and we've put a fantastic package together, so you can come too! Short breaks in the Rude Lodge this Winter! 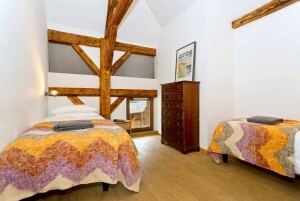 Our super affordable B&B in the heart of Morzine, with awesome deals on midweek breaks!